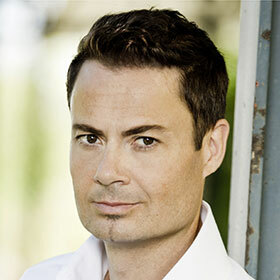 Jochen Kupfer is a sought-after artist in the world’s opera houses and concert halls. He gave recitals and concert performances throughout Europe, in Japan, Mexico, Brazil, Hong Kong, Israel and the United States and at renowned international Festivals. Jochen Kupfer is one of Germany’s most sought-after singers. His guest appearances in the world’s concert halls and opera houses have been internationally celebrated. He got his first singing lessons when he was nine years old at the music school of his native town of Grimma. He studied with Helga Forner (Musikhochschule Leipzig) and attended Master Classes with Theo Adam, Elisabeth Schwarzkopf and Dietrich Fischer-Dieskau, completing his studies with Rudolf Piernay, Harald Stamm and Dale Fundling. The 2018/19 season will feature Jochen Kupfer's role debut as Andrej Bolkonski in a new production of Prokofiev's opera War and Peace at Staatstheater Nürnberg. Another role debut there will be the title role of Jakob Lenz in Rihm's opera of the same name. 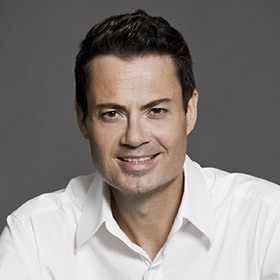 In 2019 Jochen Kupfer appears as Kurwenal in Wagner's Tristan und Isolde, semi-staged at the opera house in Montpellier. For the first time he will also be guest artist at the festival Psalm in Graz. 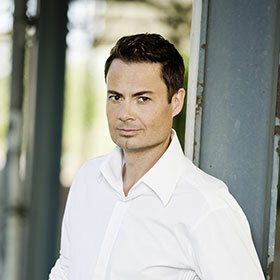 In addition to opera Jochen Kupfer is focussing on international concert appearances, e. g. in Budapest (Mendelssohn Bartholdy, Elias) as well as in Mailand, Pordenone, Lubljana and KKL Luzern with Ludwig van Beethoven's Symphony No. 9. Lied projects will take him to Internationale Hugo-Wolf-Akademie Stuttgart, Schaffhausen and Fränkischer Sommer. Highly acclaimed role debuts in preceding seasons included Wozzeck in Berg's opera of the same name, Stolzius (Zimmermann, Die Soldaten), Gunther (Götterdämmerung), Mandryka (Arabella), Kurwenal (Tristan und Isolde) as well as Orest (Elektra), the Bad Guys (The Tales of Hoffmann), Chorèbe (Les Troyens), Escamillo (Carmen), the title role in Rossini's Guillaume Tell, Giorgio Germont (La Traviata) and the broom-maker (Hänsel und Gretel). His debut as Beckmesser in Die Meistersinger von Nürnberg (Staatstheater Nürnberg) in 2011 was described as "just brilliant" (Opernwelt) in the press. Jochen Kupfer's debut at the Glyndebourne Opera Festival 2016 as Beckmesser was acclaimed as "Beckmesser sings gloriously…" (Daily Express). In addition to his engagements at the Semperoper Dresden and the Staatstheater Nürnberg guest appearances have taken Jochen Kupfer to the opera houses in Tokyo, Beijing, Strasbourg, Zürich and to the Teatro Colón in Buenos Aires, to the Vienna Volksoper, the opera house and styriarte Graz, to Staatsoper Hamburg, Komische Oper Berlin, Oper Leipzig, Staatsoper Unter den Linden in Berlin and Bayerische Staatsoper München. Jochen Kupfer has appeared with famous conductors including Giuseppe Sinopoli, Kurt Masur, Riccardo Chailly, Krzysztof Urbanski, Dirk Kaftan, Constantin Trinks, Raphael Frühbeck de Burgos, RenéJacobs, Philippe Herreweghe, Jeffrey Tate, Enoch zu Guttenberg, Christof Prick, Kent Nagano, Fabio Luisi, Yuri Temirkanov, Paavo Järvi and Herbert Blomstedt. He has given recitals and concert performances throughout Europe, in Japan, Mexico, Brazil, Hong Kong, Israel and the United States and at international festivals as well. His repertoire includes Johann Sebastian Bach's passions and Haydn's Schöpfung as well as the romantic oratorios, Orff's Carmina burana and also the famous Lied cycles and Lieder from the late romantic period up to classical modernism. In January 2018 he sang for the first time his scenic Lied recital WANDERER at Staatstheater Nürnberg. In 2016 Jochen Kupfer has been awarded the honorary title Bayerischer Kammersänger. The first-rate releases of Schubert’s Winterreise (CD, MeisterKlang) and Wagner’s Die Meistersinger von Nürnberg on DVD have added to his numerous other recordings in the recital and concert repertoire. Please contact maierartists for a current biography. Songs by F. Schubert, R. Schumann, J. Brahms, H. Wolf, C. Debussy, H. Sommer, R. Strauss, A. Schönberg & others. Songs by Hans Sommer, Hugo Wolf, Gustav Mahler and Richard Strauss. Songs for bariton and organ by Gustav Mahler, Richard Wagner, Johannes Brahms and Franz Liszt. Please note: events are only listed when represented by maierartists.